30th birthday wishes: Turning thirty is a confusing juncture of life. It can be dreadful enough to make people feel that they are finally not young any more. At the same time, it can motivate people to start living their lives the fullest. This is where all the inspirational quotes, sarcasm, funny messages and jokes come in. 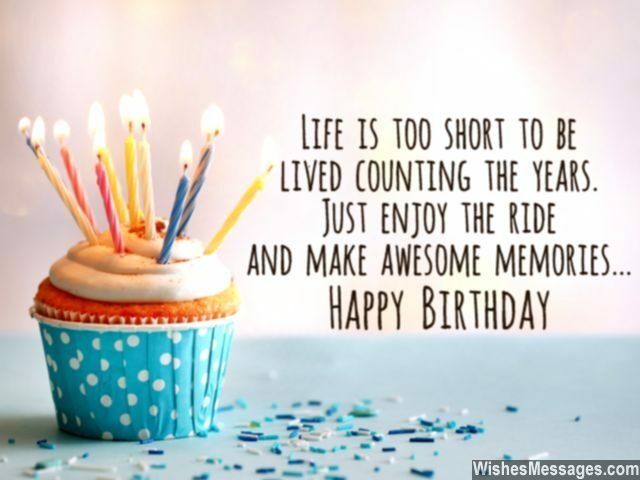 Whether it is for your husband, wife, girlfriend, boyfriend, colleague, friend or a loved one – say Happy Birthday with a special message that celebrates this baffling life phase. From a sweet note that shows life’s brighter side to cute ones that poke fun at the age factor – do your bit to bring a smile on the newest thirty year old on the block. 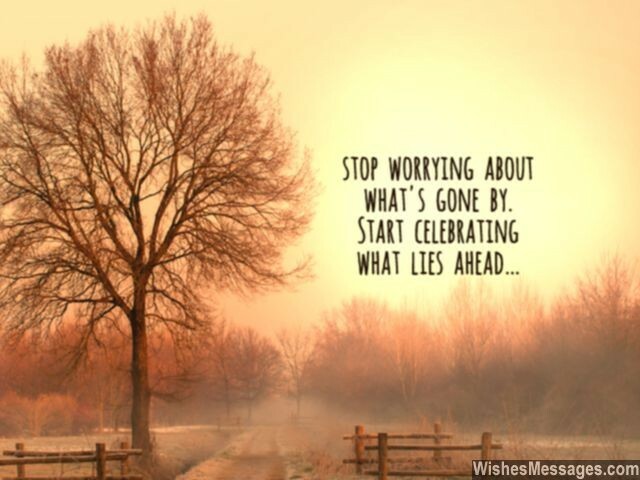 1) Stop worrying about what’s gone by. Start celebrating what lies ahead. Happy birthday. 2) The best part about being thirty is that there are no uncertainties in life. You are sure that it’s all going to go downhill from here. Happy 30th birthday. 3) When you were twenty, you felt like growing up and becoming thirty. When you will be forty, you will wish you could go back to being thirty. So to conclude, being thirty is just perfect. Happy birthday. 4) Congratulations for turning thirty. From here on, life is less about knowing how old you are and more about believing how young you feel. Happy birthday. 5) At thirteen, you were officially a teenager. At twenty one, you were officially an adult. But at thirty, you are unofficially old. Happy 30th birthday. 6) Life is too short to be lived counting the years. Just enjoy the ride and make awesome memories. Happy birthday. 7) There is one thing worth looking forward to when you turn thirty – you are almost halfway to retirement benefits. Happy birthday. 8) The secret of being happy in your thirties is quite simple – take each day as it comes. Happy birthday. 9) Your body may have turned thirty today but the way you look like a hot twenty one year old suggests that your beauty will never be able to catch up with your age. Happy 30th birthday. 10) The countdown to your midlife crisis has just begun. Tick tock tick tock. Happy 30th birthday. 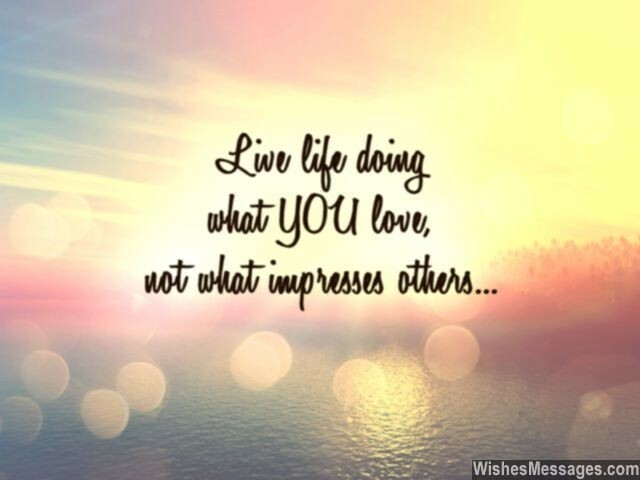 11) Live life doing what YOU love, not what impresses others. Happy birthday. 12) Farewell to your youth – it was good while it lasted. Happy 30th. 13) Turning thirty is life’s way of telling you that the most beautiful phase of your life has just begun. Happy 30th birthday. 14) If you weren’t my best friend, I would tell you how dreadful it is to turn thirty. But since you are, I don’t want to spoil the party. Happy birthday. 15) Turning thirty gives you the perfect bird’s eye view of your life. You know exactly what mistakes you made in the past and exactly how to correct them in the future. Happy 30th birthday. 16) It doesn’t matter how you have lived your life so far. What matters is how you are going to live it from now on. Happy 30th birthday. 17) Stop worrying about your age. There will be many other problems to worry about in life after you turn thirty. Happy birthday. 18) Nothing changes when you cross thirty except that you have to replace your moisturizer with an anti-aging cream. Happy birthday. 19) Thirty is the time to really start living your life to the fullest, so that by the time you are old you would have experienced life’s best. Happy 30th. 20) Life before thirty is for making mistakes and life after thirty is to repent for all of them. Happy birthday. 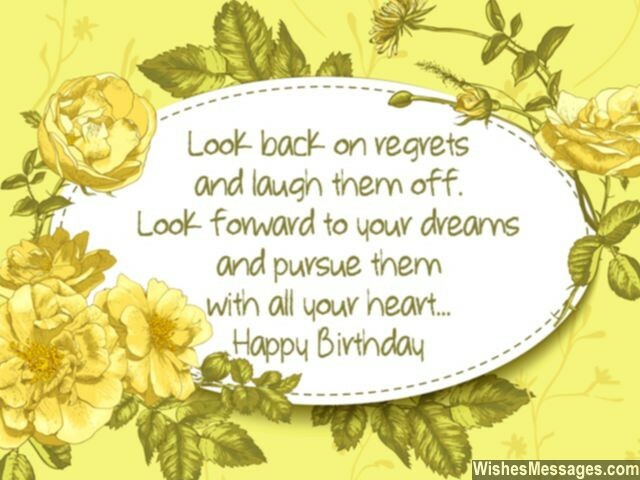 21) Look back on regrets and laugh them off, look forward to your dreams and pursue them with all your heart. Happy birthday. 22) I can’t believe it took you thirty years to grow up. Better late than never though. Happy 30th birthday. 23) Being thirty is when you can be an adult in the world of youngsters who are in their teens and twenties, and a youngster in the world of adults who are in their forties and fifties. Enjoy the best of both worlds. Enjoy, happy birthday. 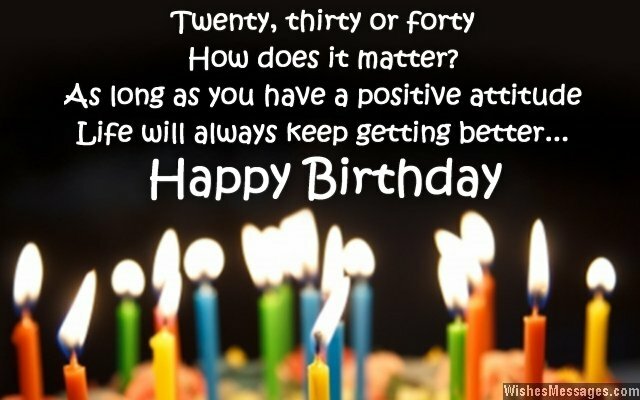 24) Turning thirty is the moment when you are old enough to understand life’s bigger responsibilities but young enough to shirk some of them while you still can. Happy 30th. 25) One of the most inspirational ways to usher in your thirtieth, is to face one of your fears and do something that takes away your breath. Happy birthday. 26) Twenty, thirty or forty – how does it matter? As long as you have a positive attitude, life will always keep getting better. Happy 30th birthday. 27) Turning thirty years old is a milestone that gives you a second chance to enjoy life while you still can. Happy birthday. 28) Going to your 30th birthday party is like attending the farewell party of your youth and the welcome party of the beginning of the rest of your life. Happy 30th birthday. 29) At thirty, you are not too young nor too old. Make the most of this delightfully confused stage of life before you finally get older and weaker. Happy 30th birthday. 30) If you can’t blow up all your birthday balloons without gasping for air, good luck getting older. Happy 30th birthday. 32) Who said you have become wise at thirty? You were already wise at twenty five but I was waiting for the right time to tell you. Happy birthday. 33) On your 30th, I want to convey my best wishes and I hope that the best job, best promotion, best holiday and best home in your life are yet come. Happy 30th birthday. 34) Your energy levels and your zest for life make me feel that you are the youngest thirty year old I have ever met. Happy birthday. 35) It does not matter whether you are thirty, thirty five or forty years old. What matters is that you are still a rebellious teenager at heart. Happy birthday. 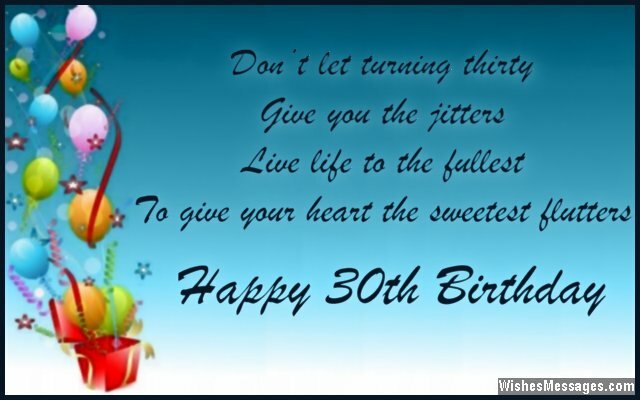 36) Don’t let turning thirty give you the jitters – live life to the fullest to give your heart the sweetest flutters. Happy 30th birthday. 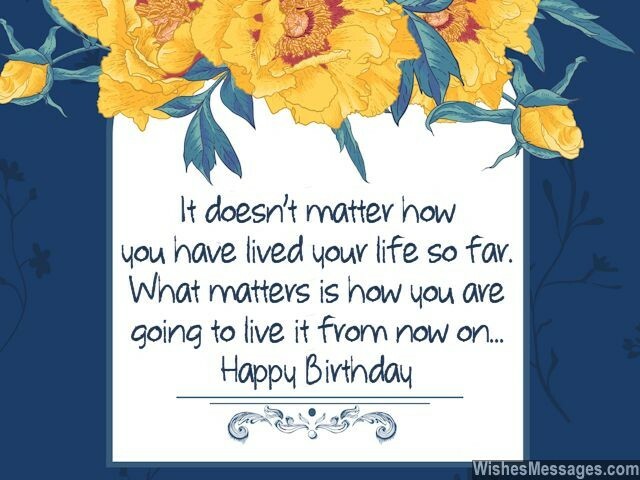 37) Happy 30th birthday to a special person who I think about all thirty days of the month. 38) You are at that juncture when the experience of your past and the ambition for your future will help you make all the right decisions in your life. Happy 30th birthday. 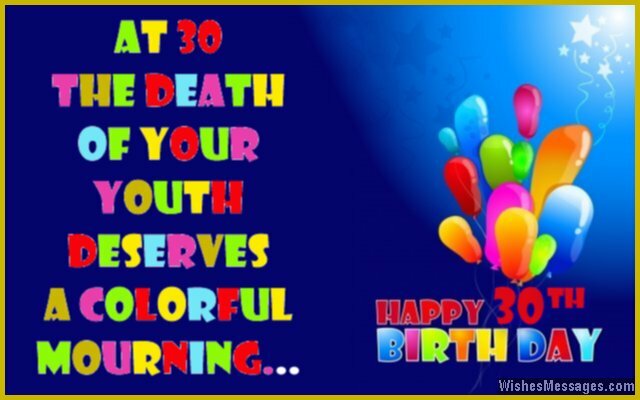 39) I don’t know what there to be happy about shedding off the last of your youthful years, but what the heck… happy 30th birthday. 40) Don’t tell anyone that you have turned thirty otherwise everyone will start being jealous and hate you for looking so beautifully young – as if you have just turned twenty one. Happy birthday.